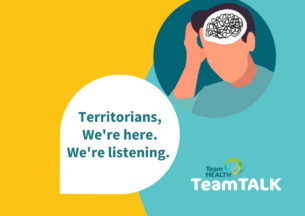 TeamHEALTH operates within a strength based, psychosocial rehabilitation framework, with a focus on supports that are recovery focused, strengths based and that are culturally appropriate. We support you to achieve SMART goals in areas of your life that meet your needs. To provide a basis that supports individual recovery planning TeamHEALTH uses the Outcomes Star (the Star) as one of its main tools to develop an Individual Recovery Plan. The Star is an evidence based tool that supports to prompt discussion to identify your strengths, what areas would make most difference to you, develop SMART goals that identify how you can achieve these. It allows you and your Mental Health Recovery Worker to measure distance travelled towards the goals you have set, rather than just whether or not the goal has been achieved.